Price: Rs.1200 for 160ml product. It has to be finished within 12 months of opening. Packaging: The only disappointment is an absence of a pump. For a texture as runny as this, a pump would have been highly helpful. Instead, it has an inner cap which shuts very tight. Your nails are going to curse you while opening the bottle. 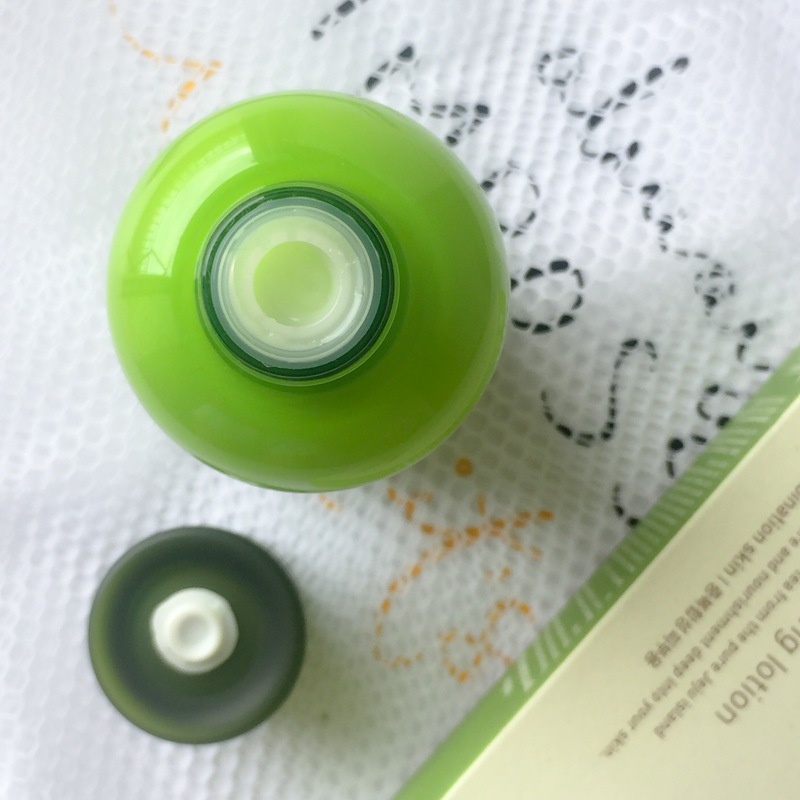 Nonetheless, that small cap makes the packaging completely spill proof and travel-friendly. 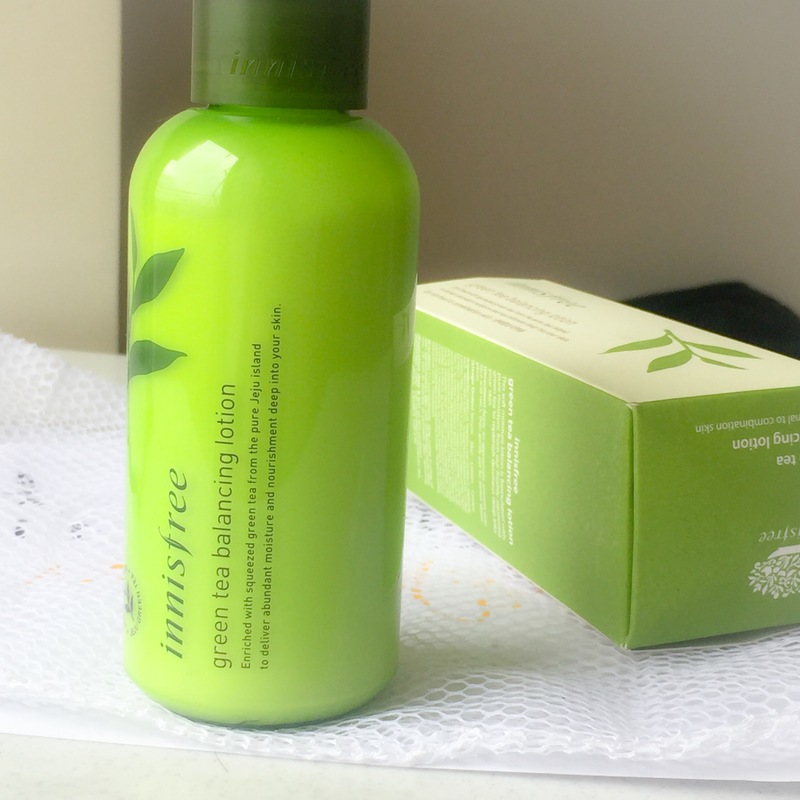 Texture: Innisfree Green Tea Balancing Lotion has a very runny-waterlike texture. It just feels as if you are putting water on your face. 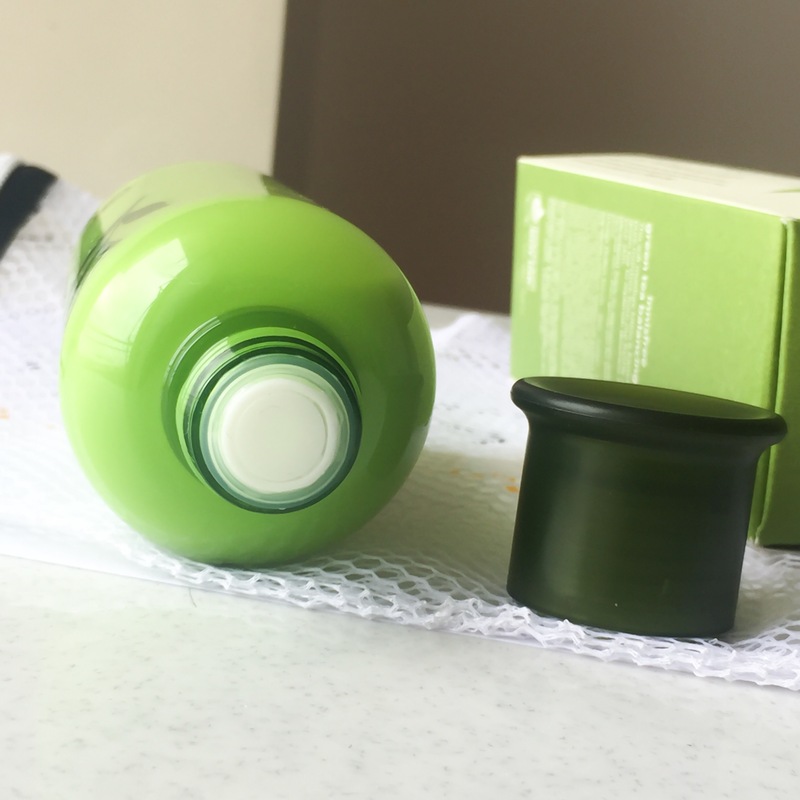 The fragrance is very mild, kind of citrusy, not at all strong like green tea. This is how huge the bottle is! And the lotion looks exactly as watery as it is seen. 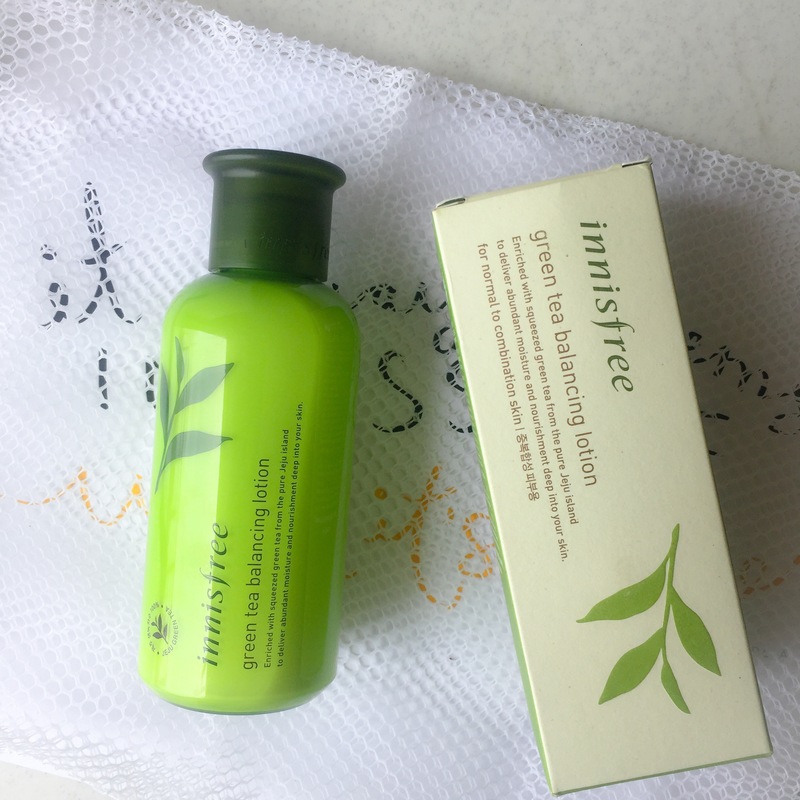 Availability: Innisfree products are easily available online at Nykaa, Amazon, Flipkart and also at their stores. Ingredients: You can find the entire list below. I have checked the list individually and didn’t find any comedogenic ingredient. Hence this is completely safe for acne prone skin. Also, it contains 87% green tea extract! It’s good to find Camellia Sinensis Leaf (green tea) extract as the very first ingredient in the list!! 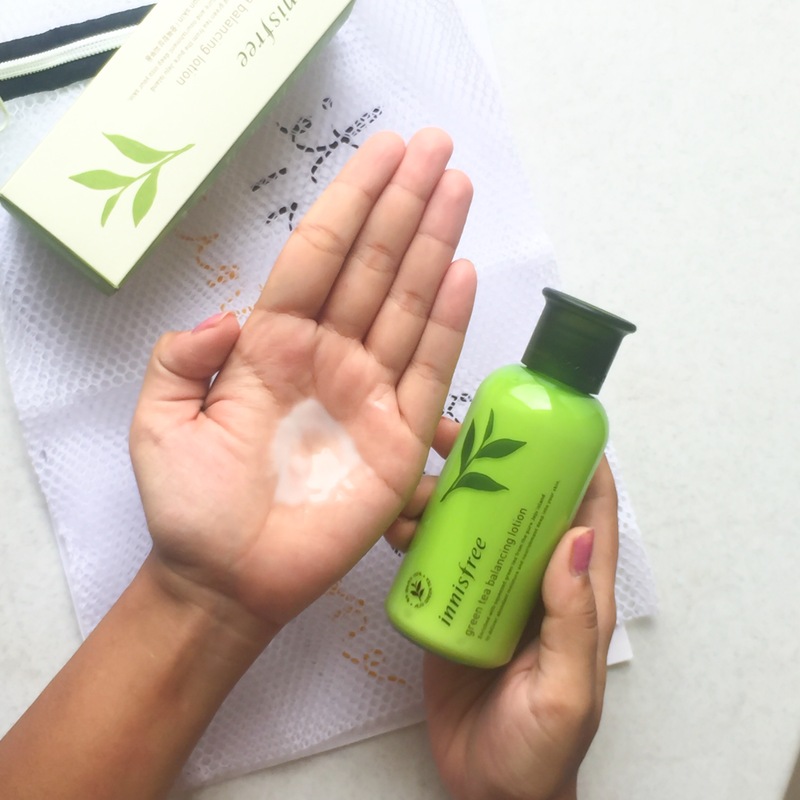 The lotion gets absorbed easily into the skin and leaves no greasiness whatsoever. I layer this above my serums (Vitamin C Essence and The Ordinary Buffet serum) and hence my moisture dose is fulfilled by this lotion. If you are using this all by itself, you might need a light weight moisturizer separately. Though this can be applied both during day and night, I use this only in my daytime skincare routine as my night skin care has a different set of products. My sensitive skin has not reacted to any of the ingredients which is a plus point. In fact, it has helped in soothing my acne and diminishing them slowly. Do I recommend this? Absolutely yes! Though a bit expensive, but this bottle is going to last super long. Hence, it is worth an investment. I hope you liked my honest review and if you did, do hit the follow button. Show some love to my blog lovelies. On my dry skin this is not very moisturising but I still like applying this.. so agree with you on the packaging! 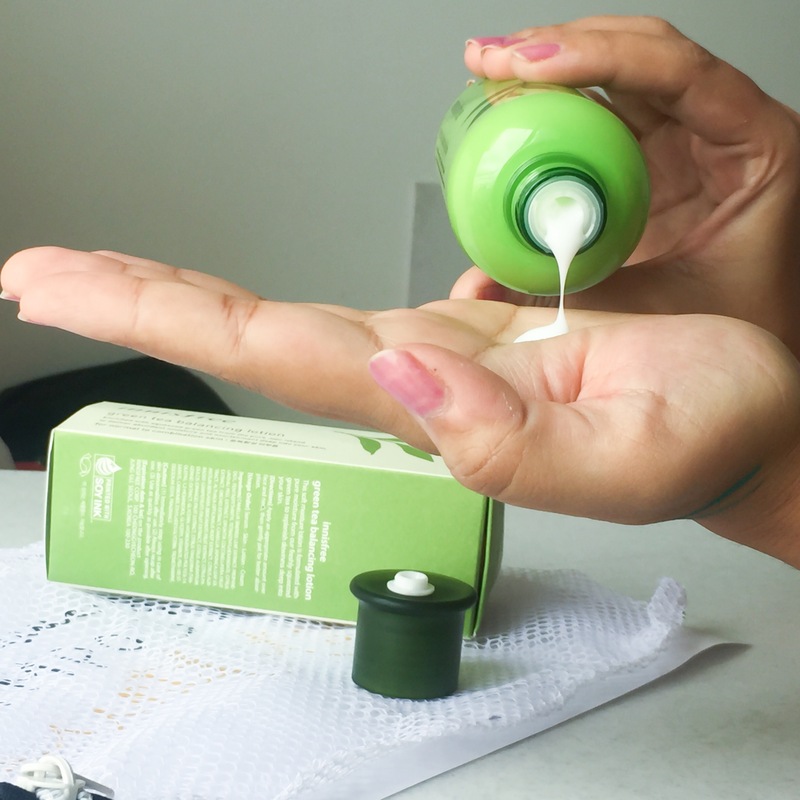 This moisturizer is one of the best choices for oily skin. If only it was a bit cheaper. I would love to try this. I have oily skin that is prone to breakouts so it looks like it would be a good fit for me! Thanks for the review! 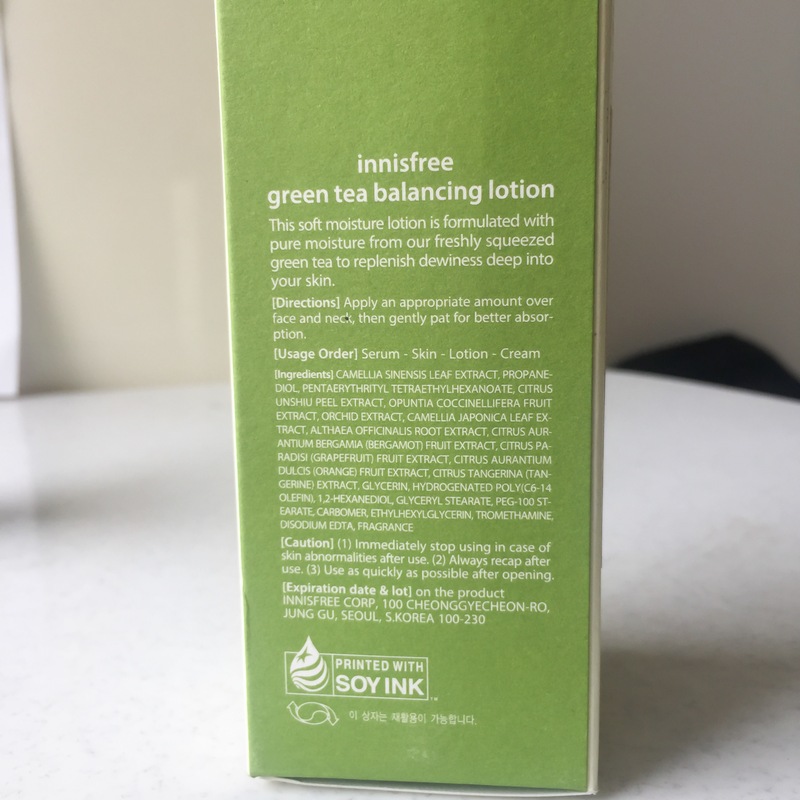 This looks like a great lotion, green tea is such a good thing in genereal! Love the way you sign off! Finally got around to read it.Had no idea this comes for different skin types.Its so helpful dat u check the ingredients list individually.Pumped to give this a go next. Owh, I have the serum from this line and yes, I love it too! I love the nice almost therapeutic scent as well! 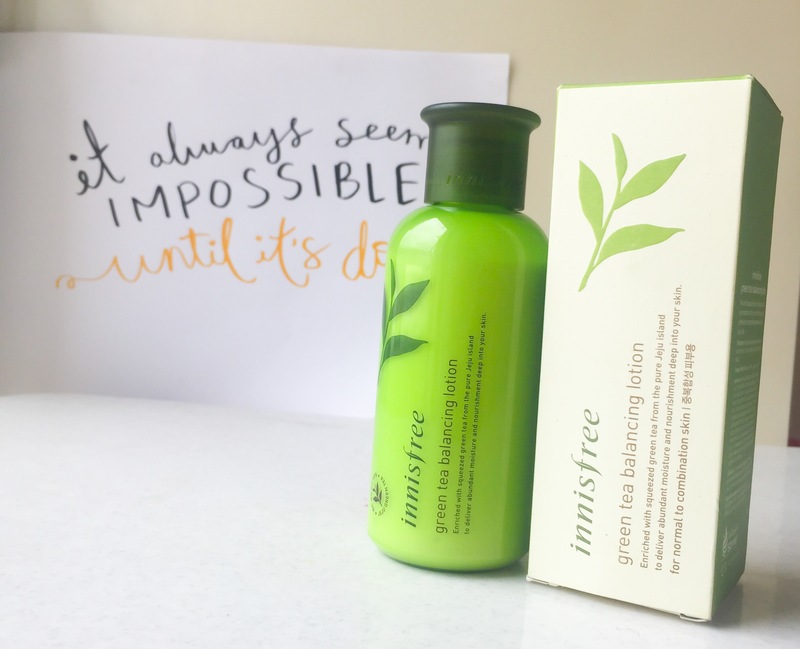 I love all the Innisfree products I’ve used so far. this one too seems great. nice review! laks recently posted…De Baga Deck Comforts Calangute Goa – Full marks for location!